HUNTLY situated in the heart of Aberdeenshire, the historic market town of Huntly is linked to Aberdeen and Inverness by both the main A96 trunk road and by a good rail link. Approximately 37 miles from Aberdeen, Huntly is easily accessible for both residents and visitors alike. The town, which has a population of approximately 5000 people, maintains a busy centre with a range of professional, shopping and leisure facilities. 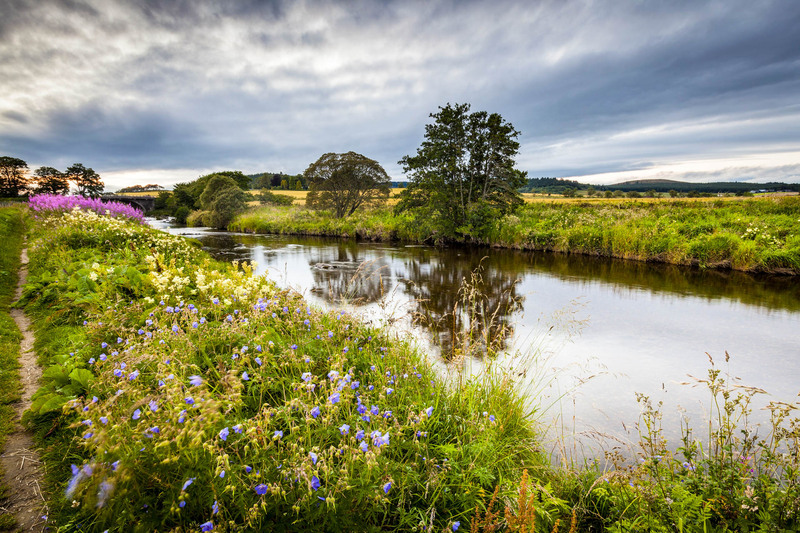 “Known for many centuries as Strathbogie the first settlement at Huntly is believed to have taken place in the 12th century when the Lord of Strathbogie built his castle on the banks of the River Deveron. In or about 1314 King Robert (“the Bruce”) granted the Lordship of Strathbogie together with title to the lands and castle to Sir Adam Gordon of Huntly from Berwickshire. Towards the end of the 14th century the Gordons made their permanent home in Strathbogie and in 1506 the 3rd Earl was granted a charter changing the name of Strathbogie to “Huntly.” Over a period of time that name was adopted for the town which, as the main base of the Gordon clan, played a significant part in the Reformation. In 1770 the 4th Duke of Gordon had plans drawn up to enlarge Huntly and many of the impressive buildings built on the regular grid street pattern date from around that time. Huntly Castle itself, whilst no longer inhabited, is a popular tourist attraction. In addition to the rich history of the town, Huntly is the main shopping and education centre for the local area with schooling provided at the Gordon Schools. The area offers many leisure pursuits with an attractive golf course, a Nordic Ski Centre, excellent salmon fishing on local rivers and beautiful countryside for those who enjoy walking.